This week’s Gladiather to Watch isn’t even 5 feet tall and hasn’t made it middle school, but she’s managed to wow the country with her sick crossover, mean jumper, and fearless style of play. 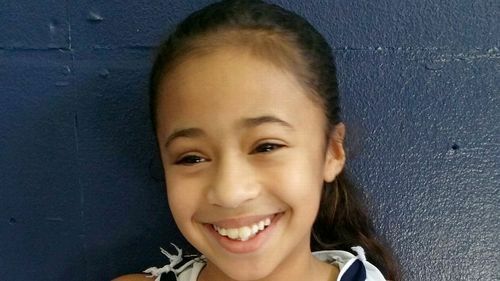 Nine-year-old basketball prodigy Jaden Newman plays varsity basketball at Downey Christian School in Orlando, FL and she does it well. She currently averages 14.8 points and 7.5 assists per game. And I’m sure she’ll start getting rebounds when she gets tall enough to reach over the junior and senior players she’s always up against. Newman hopes to follow in the footsteps of Diana Taurasi and play for Connecticut, team USA and in the WNBA. If she stays on the right track I’m sure she’ll have no problem reaching every one of her goals.